Gwen is a registered Yoga Teacher (ERYT 500) with Yoga Alliance Australia®; for over a decade has dedicated her life to Yoga for Health and Wellness. Her “dharma” (path) is to provide a tool and space where people are able to access deep into their inner resource of wise love, peace and strength that will help people to reconnect and return to a healthy state of balance, harmony and well being. It is her utmost desire to help heal trauma in community, by turning their most painful experience into wisdom and continuously being aware of the changes that are taking place. With this awareness and experience in various therapeutic modalities, she is able to assist people in adjusting to the changes that are affecting their lives. 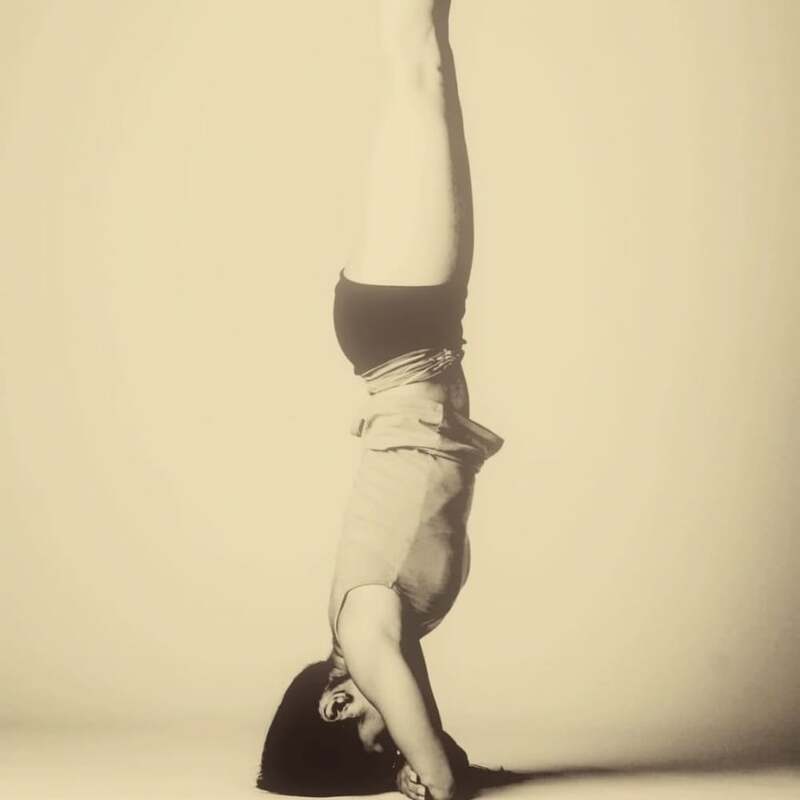 Gwen is playful and light practitioner and teacher of yoga. Her yoga class is inspired by the expression of Wabi-Sabi and the principles of Yoga wisdom. Structured yet intuitive, creating space to realize our natural state Shi Zen* (自然means ‘Nature’). Through her classical training and thorough knowledge of traditional yoga, Gwen has a disciplined understanding of asanas, pranayamas, and meditation. Participants get to experience the beauty embodied within oneself by transforming one’s waywardness nature into inner contemplation, ignorance into wisdom, taking them into depth, so that the illumination of one’s spirit can arise. ShiZen* – To be one with nature, one must come to the natural state of grace that dwells within all beings. Apart from teaching yoga to adults and children, she has conducted Yoga teacher’s training course over a period of 6 years and worked as a yoga therapist, Sound and Energetic healer. Her life is a playground in how to integrate spirituality into our daily life. Most of her work emerges in response to the environment and nature to what is relevant as we go through many changes. Gwen shares the beautiful aspects of Wabi-Sabi (seeing the beauty in imperfection, a Japanese wisdom that is inspired by nature) and Satmya ( wholesome adaptation through gradual change) by incorporating Wabi-Sabi and Satmya into your life, beauty of the present moment takes on a whole new meaning. This new paradigm not only does it resolves one’s artistic and intuitive dilemma, it also helps you see the profundity in everyone’s nature. A joyous way of life is supported by traditional diet, yoga and exercise, and healing the natural way using herbs. Gwen was the founder and owner of Wabi-Sabi Holistic Lifestyle Pte Ltd in Singapore for almost a decade. Her yoga practice was the turning point in her life. She had a glimpse and finally understood the true meaning of Freedom-Moksha. Her years in Singapore and Japan allowed her to see that people have indeed created a prison for themselves. The thoughts, beliefs, perspectives that have been guides so far, have become a fortress of fear. As a yoga teacher and therapist, she strives to bring philosophy into practice, and remove the fears that inhabit us all. She has travelled widely, and experienced many different cultures. She is a potter, dancer, gardener; tea ceremony was her first spiritual practice. The many strands in her life contributed to a vision of how humanity needed a paradigm shift to build a healthy sustainable future cooperating with nature. Gwen decided to walk the walk by coming to Western Australia to start Permaculture Farming creating a self-sustaining lifestyle on an eleven-acre land in the South West. With her extensive knowledge in yoga training and therapy/healing programs, she looks forward in creating a sanctuary and food forest that people from all walks of life will find nourishment, joy, calmness and solace, by absorbing into Earth Mother’s Vital Force. Gwen has deep concerns about the forest, ecological change and carbon footprints, which lead Gwen to embark on this journey to simplify her life and material needs, and focus on her spiritual path, permaculture practice and community building. Since living in the South West of Western Australia, where dairy farms are the main industry in this small town, Gwen has become more conscientious about the farm animals and feels it is important to have transparency in food production. It is her greatest hope that as an individual or a society everyone will start cultivating a deep connection with our food production system. Forming a community interested in working with yoga as a tool for personal transformation and community building and work towards a sustainable future cooperating with nature. It is Gwen’s greatest wish to have daily group yoga practice or meditation, so that we are able to inspire and support each other in our lives and relationships, and drawing from our spiritual practice we are able to integrate and embody an approach to life that can form the basis of a culture shift. Be it a private class or group setting, Gwen connects with students at a deep level, and intuitively provides Yoga Medicine that serves as a reminder to students of their true nature and empowers them to, self-awareness, self-healing and self-discovery. Gwen’s yoga class is not just a yoga class. She serves as a guide - a lighthouse keeper shining the pathway to your soul’s portal. Gwen has completed 5000 hours of teaching experience. Yoga Alliance Australia, are trademarks or registered trademarks of Yoga Alliance (Australia) or its affiliates in Australia and other countries. Other names may be trademarks of their respective owners. Yoga Alliance® is an international association representing the yoga community based in the United States. Gwen has at least 1,000 hours of teaching experience since completing training. An E-RYT 200 is able to provide continuing education workshops to RYTs and can be a Lead Trainer of a 200-hour teacher training program for a RYS 200. A C-IAYT Yoga Therapist is a health practitioner with training encompassing all aspects of yoga including physical applications and philosophy of yoga, as well as studies in diseases and their causes/symptoms, range of motion and biomechanics, anatomy and physiology, correct applications of yoga and contraindications in certain health conditions, disability, or mental state as well as across various age-groups, and a clear understanding of patient-client relationships. A C-IAYT Yoga Therapist -- International Association of Yoga Therapists (IAYT) certified yoga therapist-- has completed a minimum of 1000 hours of yoga therapy training and related studies within specific yet comprehensive guidelines. Although it is currently legal to use the terms yoga therapy / yoga therapist without being C-IAYT certified, the global standards set in place by IAYT help to distinguish yoga therapists who have completed certain competencies under an accredited yoga therapist training program. The focus of yoga therapy is to help the individual --through one-on-one-therapy-- progress toward greater health, be it physically, mentally, or in recovering from illness or injury.